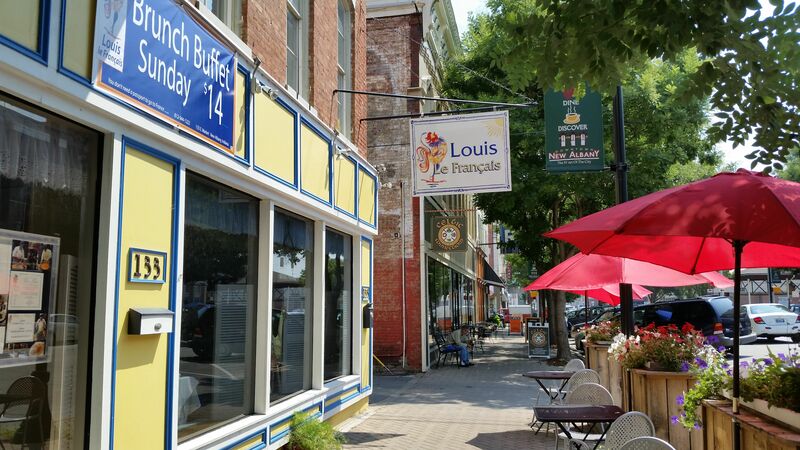 In case you've run out of things to do in the Ville, you can always forge the mighty river and explore "the sunny side of Louisville." Just in time for warm sunshiny days and starlight nights, here are 12 of Southern Indiana's hot spots. Looking for an outdoor adventure? Why not take a walk among 390 million year old fossil beds located on the banks of the Ohio river. You can fish, hike, have a picnic and watch the birds all in a days time. When you're done with that, head over to The Widow's Walk Ice Creamery where you can choose from over 23 flavors of hand dipped ice cream and watch the sun set over the falls with a view of Louisville's skyline. Located in Clarksville, Widow's Walk also rents bicycles that you can ride across the Big 4 Pedestrian Bridge. Nothing quite captures the perfect summer evening like a good old fashion drive-in. In operation since 1951, the Georgetown Drive-In happens to be the only drive-in around these parts. So if you're hoping to enjoy two movies for the price of one, albeit under the stars, look no further. The cash only 2 screen drive-in opens May 1st, and has not one but two playgrounds, as well as the most sinful concession stand. That's right, it turns out you can do more than pick your pumpkin here. Famous for their southern style restaurant, the Huber family also boasts their own winery, barnyard with games and wagon rides, farmers market, gift shop, soda pop shop and bakery. So plan to spend the day in the country and return home with lots of treats. Featuring live music from local bands every Friday at 7pm, The RiverStage Summer Concert Series kicks off Friday May 23rd and lasts until Labor Day. 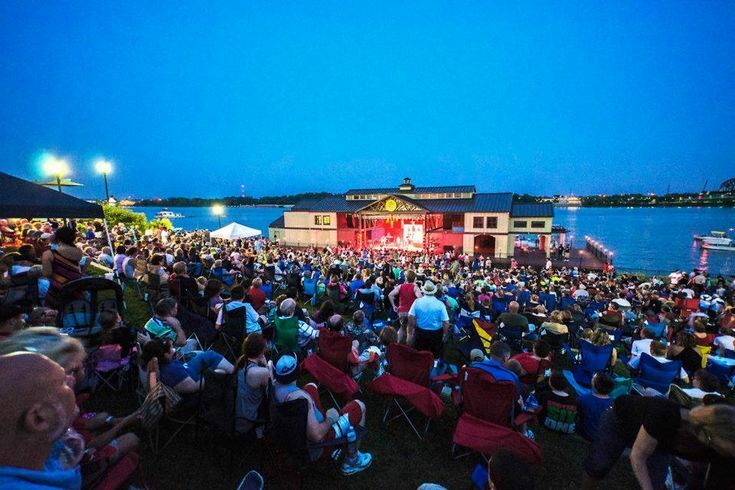 Located in Downtown Jeffersonville, the floating stage faces a terrace lawn and amphitheater with views of both the river and Louisville's skyline. Though the series also hosts food and beer vendors, admission is free. Just bring a lawn chair or blanket and prepare to have a good time. Tucked away inside the rolling hills of Indiana, the drive alone is worth the trip up to Madison. Once you're there, walk the the streets and take in the beautiful view of the river alongside Madison's collection of historic buildings. Camp, rent a cabin, or stay at one of many quaint bed and breakfasts. Downtown there are over 20 restaurants, including Indiana’s oldest tavern Broadway Hotel & Tavern, Rembrandt’s Gallery and Wine Bar, and the Madison Lighthouse Restaurant (where you can dine on the river). Spend your days antiquing, check out a few art galleries, enjoy a carriage ride, tour on the trolley, or come for one of the famous art and music festivals. We promise you won't run out of things to do. Sip something new, and explore over 241 Southern Indiana wines on the Indiana Uplands Wine Trail. Whether you choose to spend the afternoon outdoors for a picnic, or stay for the weekend and walk through the vineyards, it's the one place where you can taste your way through 9 wineries. Just don't forget to bring home your favorite bottle. 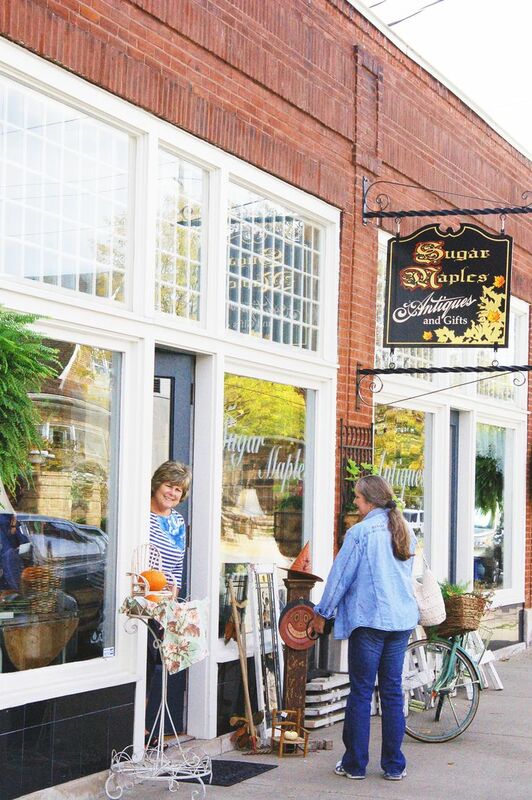 For the shopper at heart, Downtown New Albany is fully equipped with jewelers, boutiques, art stores and antique shops. Not to mention the fresh produce and little treasures you can find at their bustling farmers market located on the corner of Bank and Market street at 202 East Market Street. It's also the place for exceptional food. The Exchange Pub and Kitchen, the ORIGINAL Feast BBQ, River City Winery, Toast on Market, the New Albanian Brewing Company (Bank Street Brewhouse, Pizzeria and Public House), Habana Blues, Dragon King’s Daughter, Wick’s Pizza, and Louis Le Francais just to name a few. "Hipstoric" Downtown Jeffersonville is also becoming quite the place to do a little shopping and fine dining. You can satisfy your sweet tooth by stopping by Schimpff’s Confectionery (one of the oldest family run candy stores in the country) or Adrienne and Co Bakery Cafe. Horner Novelty's party store and the Vintage Fire Museum are loads of fun to go through. You can also walk across the Big 4 bridge, check out the Gadabout Gallery, Riverside Cigar Shop, or grab a bite to eat at the Come Back Inn, Big Four Burgers and Red Yeti Brewing Company. Unlock your inner love for nature at Clifty Falls State Park. Located just outside of Madison, the park is full of rugged trails that wrap around the scenic falls, creek and canyon. You can camp or hike for the day. The state park even offers a lodge and restaurant, complete with an indoor pool and playgrounds. One of the oldest dinner theaters in the country, Derby Dinner Playhouse offers a casual night out in a fun and engaging atmosphere. Though their productions of Broadway musicals and comedies provide an evening of entertainment, it's their classic country buffet with full bar and dessert options that will have you begging for more. If its a relaxing weekend getaway you desire, French Lick Resort has it covered. Made up of two award winning, historic hotels, the resort offers a plethora of activities. From gambling, to golf, a spa, horseback riding, and even a kid friendly lounge, there's something here for everyone. Experience new heights and depths by exploring Southern Indiana's caves. Dating back thousands of years, Squire Boone, Blue Spring, Marengo, and Indiana Caverns are historic landmarks waiting to be discovered. You can spend the day mining for precious gems and fossils, take a boat ride, hike, camp out or have a picnic. Whatever you choose, these natural wonders are sure not to disappoint. All photos are credited in the headings. Cover photo courtesy of Shutterstock/Jacob L Ramsaur.